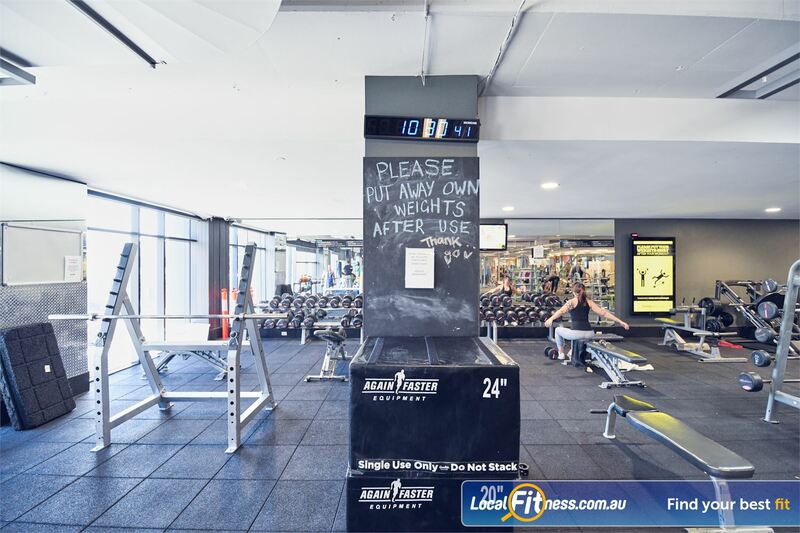 Goodlife Health Clubs Gym Port Melbourne | The Fully Equipped Functional Training and HIIT Gym Area in Port Melbourne. Goodlife Health Clubs Gym Port Melbourne - The fully equipped functional training and HIIT gym area in Port Melbourne. The Fully Equipped Functional Training and HIIT Gym Area in Port Melbourne. Goodlife Health Clubs Port Melbourne is a way of life! When you join our Goodlife Port Melbourne gym you become a member of the Goodlife tribe and part of the extended Goodlife family. Our Goodlife Port Melbourne gym makes it easy to reach your health and fitness goals. Our complete range of services includes our state of the art gym and cardio equipment, our popular range of classes inc. Port Melbourne Yoga, Pilates, Zumba, Boxing, HIIT and more, our knowledgeable and qualified Port Melbourne personal training team, our national 12-week challenge, our Fitter Faster Stronger 8 week challenge, our dedicated functional training and HIIT gym area, relaxing steam room, dedicated cycle studio with virtual class system, on-site HYPOXI Port Melbourne weight-loss studio and so much more. Take the first step towards better health and fitness with a trial pass at your Goodlife Port Melbourne gym today. Once you get going, the only workout you'll ever regret is the one you didn't do!